Portrait sticker with one of the most famous icons in the history of Jazz. For die-hard fans of this great American singer. 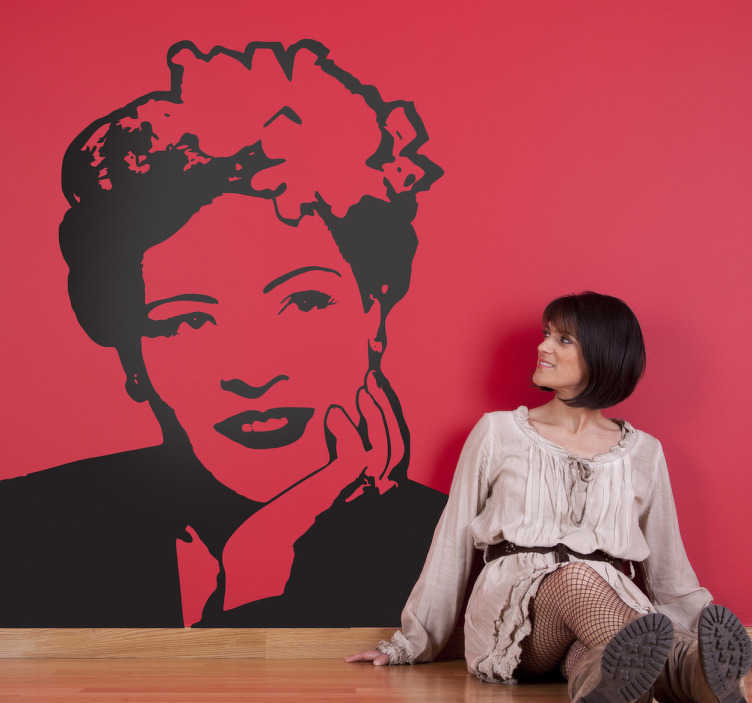 A detailed mono-colour image of the influential figure, Billie Holiday. Great to create a statement piece in your home.